Two men in dark pants and light, long-sleeved shirts are standing on a railroad track. 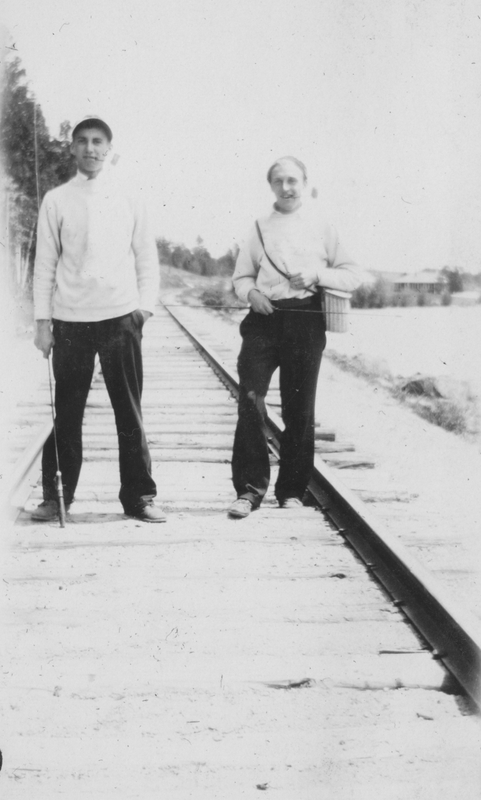 They appear to be carrying fishing poles and the man on the right has something slung over his shoulder. Lining the railroad tracks on the left of the photograph are deciduous and coniferous trees.